Now that you’ve started a blog, you’ve considered why you’re blogging and are building a list of topics about which you post and share. How will you connect ideas and connect with others? I suggest building a neighborhood online that will gather both research [your topics and ideas] and people [your connections– another Momentum topic coming up in this series]. 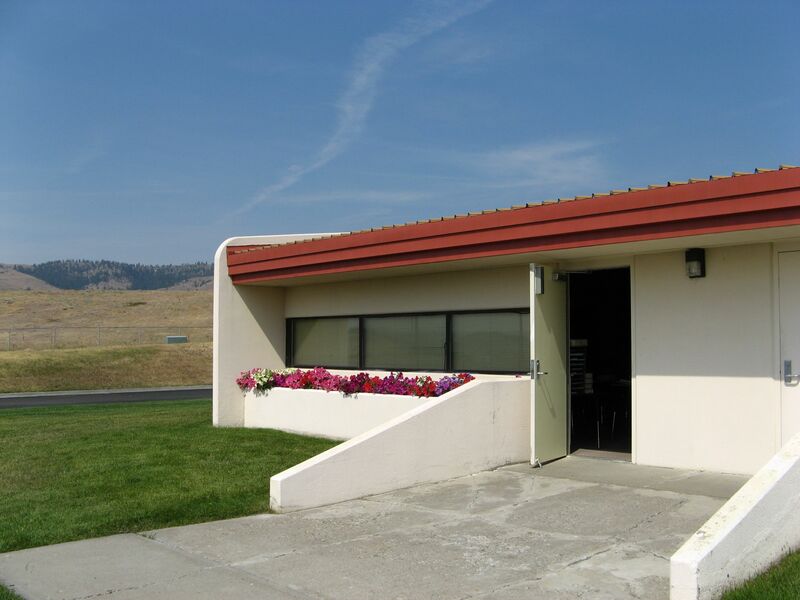 This PLN – personal learning neighborhood – will be a place you wander for sharing, gathering ideas, and connecting with other people. You’ll spend the time you need, but most importantly, you’ll be in a reciprocal community of learners, giving as well as receiving. Just as you walk through your own real neighborhood, enjoying the view, greeting the people, stopping for visits, and perhaps enjoying a gathering — so too will these occur in your online neighborhood. My favorite and the easiest way to build your neighborhood is on Twitter. 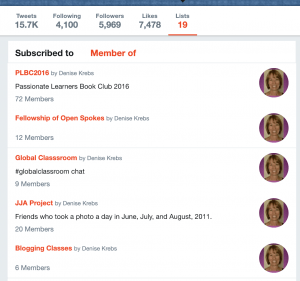 Edublogs has provided an awesome guide: The Ultimate Guide To Twitter. Whether you are a novice or an expert, there will be something there to learn, especially scrolling down to the section on Tweetdeck– where you can follow hashtags and people to take a walk through those neighborhoods without being inundated with the entire Twitter stream. Go ahead and find one or two that fit you. 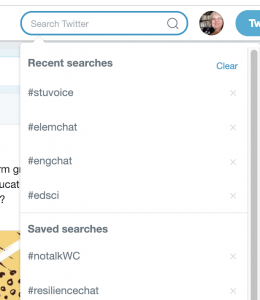 Notice you can click on a list of “Twitter Chats,” too, on that linked page. 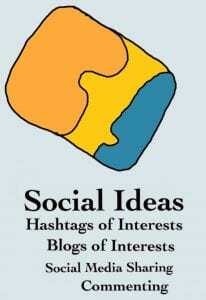 While viewing the stream of hashtags that interest you, you’ll find many people sharing ideas. Follow those that challenge your thinking as well as those of similar ideas; be willing to expand your viewpoint. Follow people that inspire you! Check out the Twitter guide for suggestions here. 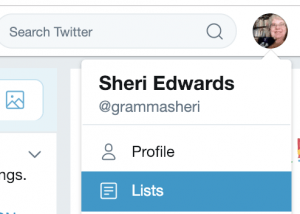 Create a Twitter list of people — how to in the guide is here. 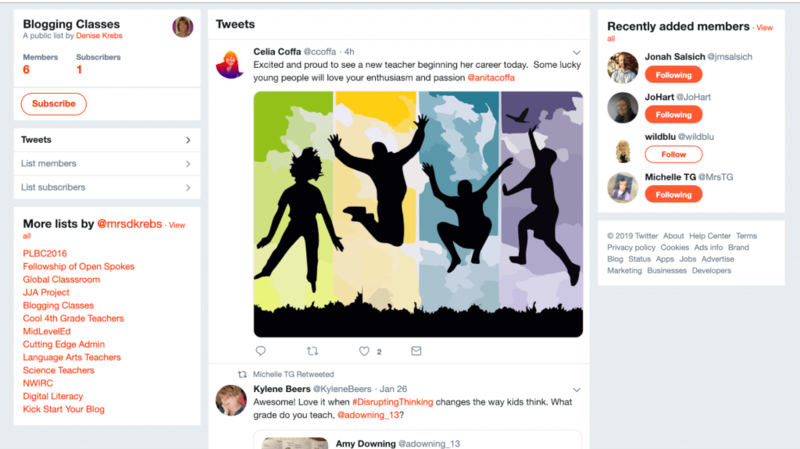 Click on your list, and you’ll see the Tweets of people with the things that connect with you — similar job, grade level, passions. So when you begin Twitter, be sure to complete your profile as well so others can follow your hashtags and blogs. If you enjoy and learn from the blogs you discover and read, add them to your blogroll. 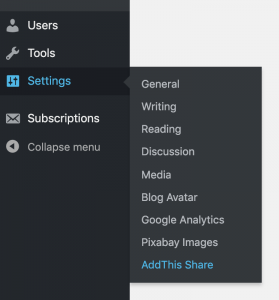 You can create links to your new connections in a widget in your sidebar called a Blog Roll. 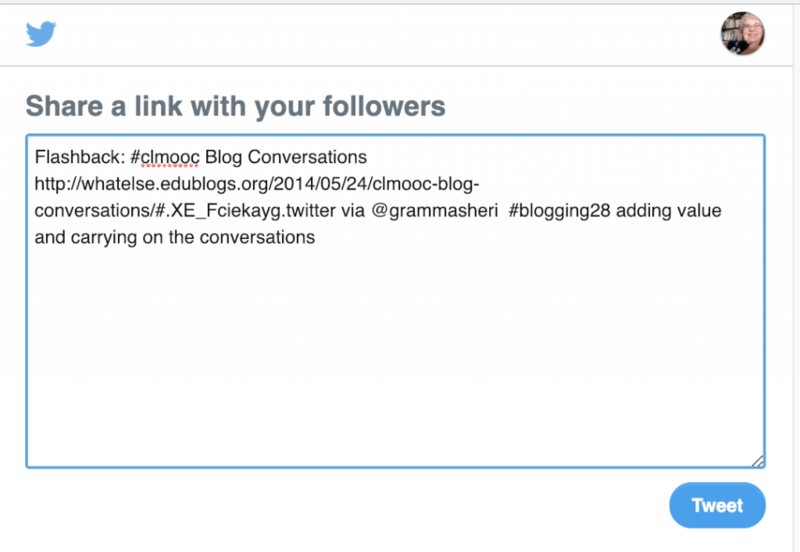 The Edublogs Help Document “Links Menu [Blog Roll]” will explain how to create this step by step. You can see one at the top of my sidebar — I created a category called “#modigiwri” for my More Digital Writing Challenge group. 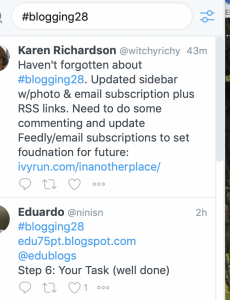 I included my #blogging28 in that category. When I set up my widget, all those links in that category are displayed as clickable links. Love that for easily connecting with my neighborhood! Be sure to comment on and share the posts of your new connections. Google Plus was a fine hub for many of my connections where we built Google Communities, but it will be gone in April. I don’t use Facebook for a variety of reasons that have all been in the news over the last few years. Those are the most popular. I love and recommend Twitter: virtually every connection I’ve made for professional or student collaboration started on Twitter. By building your neighborhood in Twitter, you’ll filter the tweets important to you and walk alongside some very awesome people you’ll soon find become friends. The important thing about a neighborhood is the interaction and relationships with our neighbors. The idea of gathering people and blogs to follow is only part of the neighborhood. The most important part is your interaction — your noticing of someone’s ideas and recognizing them in your posts or replying to their Tweets or commenting on their blogs. It’s a reciprocal relationship. More about this later in the series. Sharing your blog in comments and in Tweets adds value to the ideas being discussed and may extend the conversation further by each participant as your neighborhood learns about each other and begins a connection of understanding and respect as the participants learn together. I’ve written about Blog Conversations here. 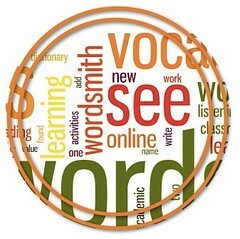 Edublogs offers suggestions on why blog comments are so important in these TIPS. Consider these for your Twitter replies as well — comments extend the conversation and honor the author. If you write about their topic on your blog, be sure to to comment an appreciation to them and link to your blog. You can copy your link and share it directly on Twitter. 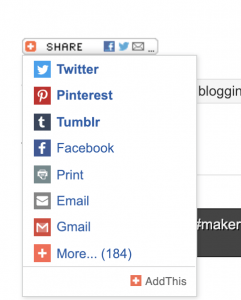 You may also set up your blog so others can share your post as well. I like that I can finish my post and share directly from that post to Twitter. Mine says “Deactivate” because I’ve already activate it. 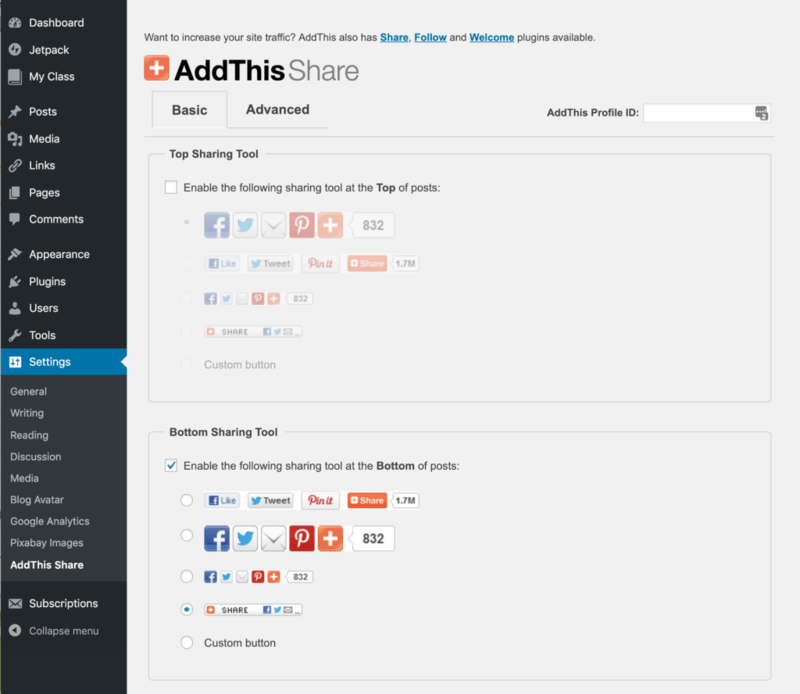 Next, go to Settings–> AddThis Share to set up the plugin as you want it displayed. 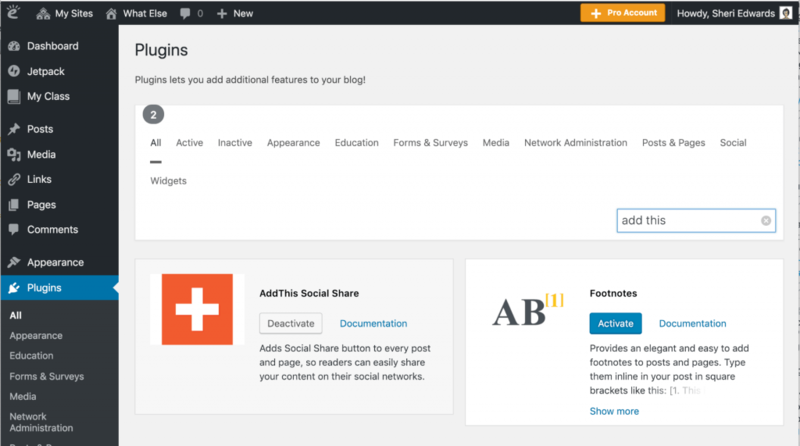 Edublogs explains how to activate plugins here and how to set up AddThis here. 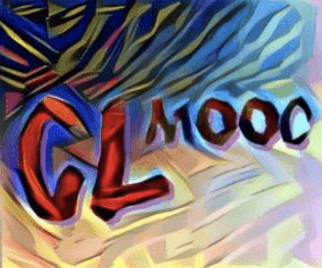 #clmooc is one of my neighborhoods and I wanted to share a post about commenting and blogging with my new #blogging28 neighborhood and with my old friends who’ve been together in that hashtag since 2013! 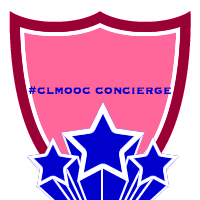 Our CLmooc friends have carried conversations into blogs, videos, vlogs, images, poetry, etc. as challenges, remixes, reflections, and conversations that further our understanding of each other and our professional practice. And though you will find interests and topics in your neighborhood, your sharing with others and your hashtags to build a conversation will be much more: it will be a neighborhood of learners. Step by step, your neighborhood will grow and so will your own blogging. Where will you start? For more posts on Building Momentum, click here. 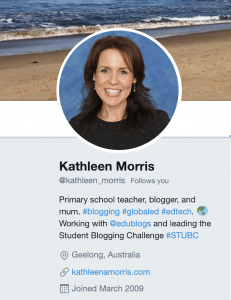 This is Day 25 of the #blogging28 challenge by Edublogs, thanks to Denise’s tweet. Note: for the idea of “neighborhoods,” see this post reviewing the concept started by Ben Wilkoff here.